Alfa 145, 146, 147, 155, 156, 166, GTV and Spider with 2.0 liter engines. The 2.0l 16 valve engine is quite a difficult engine to replace a cam belt on as there is also a balancer shaft belt to replace at the same time. 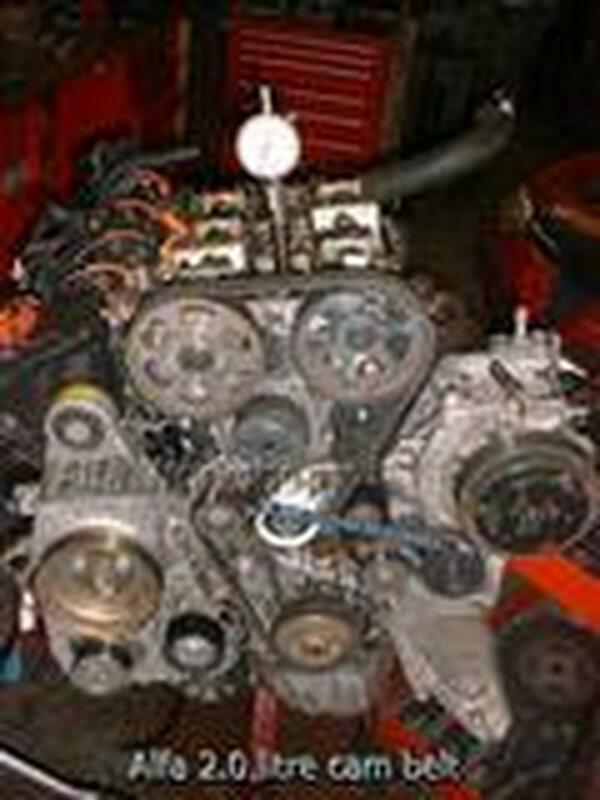 In order to complete the task correctly you will need some specialist Alfa Romeo tools these comprise of two locking tools for the camshafts and a dial gauge to find top dead center. 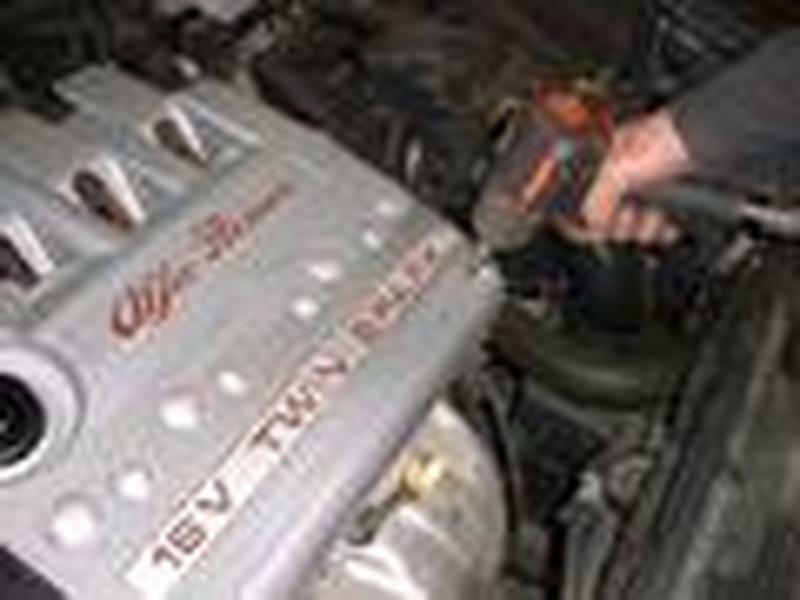 The first task is to remove the upper rocker cover which is secured by 4 ribe fasteners, once this is removed the plug leads and coil packs are exposed, these are secured by 3 fasteners on vehicles with an alloy rocker cover and 4 on plastic rocker cover cars, the plug caps can then be carefully removed and put to one side. The rocker cover is now ready to come off. Once this has been successfully removed the camshafts are visible and the locking tools have to be fitted to cylinders 2 and 3 this may involve rotating the engine. Number 1 spark plug on number 1 cylinder needs to be removed and the DTI should be fitted down its hole. 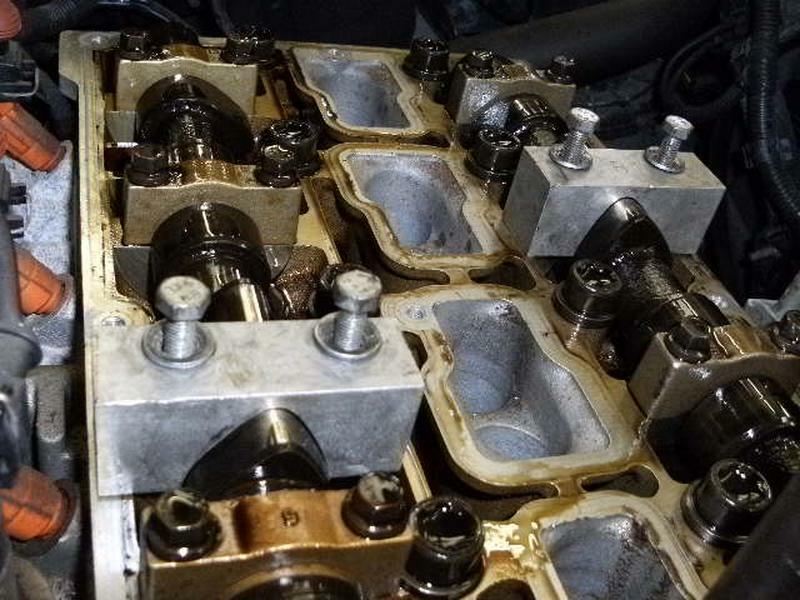 Now we can remove the balancer shaft belt and the cam belt by loosening the center bolts of the tensioners. 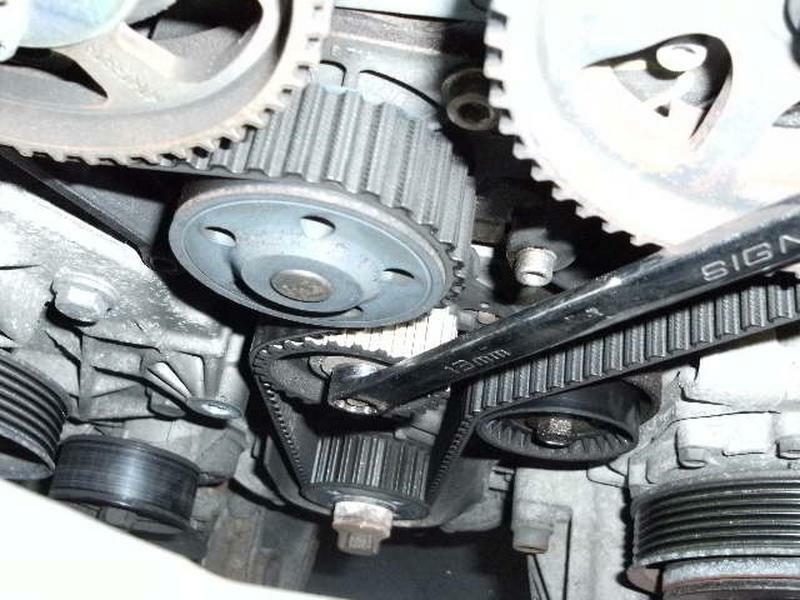 You will note while you are doing this that the tensioners may be made of plastic and they will also need to be replaced as they have a tendency to explode which has the same effect as a cam belt breaking as the belt goes loose and slips over the cam wheels. The idler on the opposite side of the cam belt will also need to be replaced as it is usually noisy and usually part of a cam belt kit. Many people like to replace the water pump at this point as it is very easy to do, however we have little problem with these. 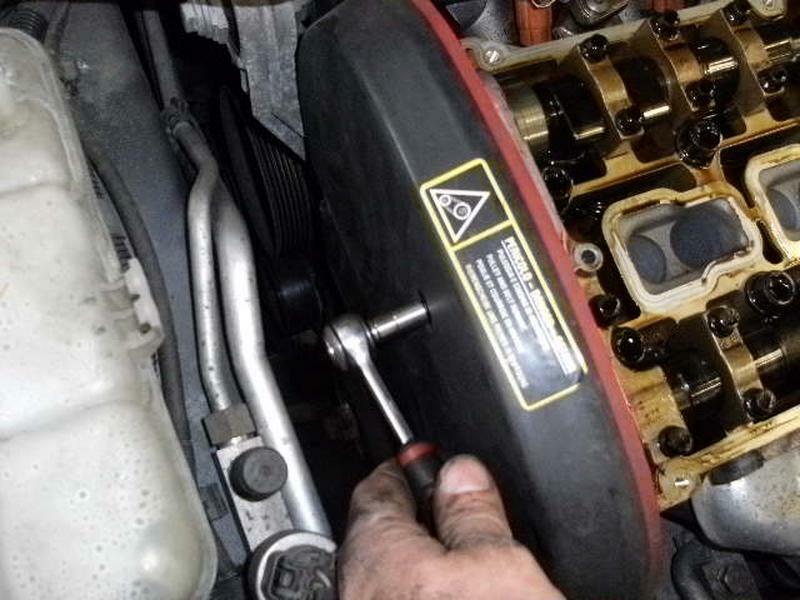 It is advisable to replace the cam variator which is in the center of the inlet cam pulley as these are nearly always noisy and all you have to do is unscrew it. To refit the cam belt you reverse the process, however there are some points to note, the first of these is you need to slacken the center bolts of both the inlet and exhaust cam pulleys so they are able to move a little and then tighten the cam belt using the cam belt tensioner before re-tightening the center bolts on the cam shafts. You will then need to fit the balancer shaft belt and to do this you align the marks on the belt with the marks on the pulleys you are now in a position to fit all the other parts back on.